her clients as coach, trainer and consultant. Masako is an itim international (www.itim.org) certified intercultural management consultant. As such, she supports clients in developing their intercultural competences as individuals, teams and organisations. She is a certified facilitator of the Intercultural Readiness Check (www.irc-center.com ) of International Business Improvement (www.ibinet.nl). She uses this self-assessment tool of intercultural competences as a basis for coaching and training. Masako is an itimfocus (www.itimfocus.org) certified organisational culture change consultant. As such, she diagnoses the present organisational culture and helps clients transform their culture so that it will accelerate their organisational effectiveness. 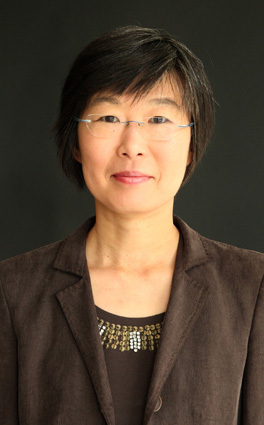 Masako is a trained Co-Active® Coach of the Coaches Training Institute (www.thecoaches.com) and an Organisation and Relationship System Coach ™(ORSC™) of the Center for Right Relationship (www.crrglobal.com). She is a member of the International Coach Federation (www.coachfederation.org). Masako was born in Tokyo, Japan. She spent a few years of her childhood in Boston, USA. She holds Bachelor’s degrees in Political Science from the Elmira College in New York, USA and in American Studies from the Nansen University in Nagoya, Japan. She holds a Master’s degree in International Relations from the Sophia University in Tokyo. After her study, she moved to the Netherlands and worked for Fujifilm in Tilburg for 16 years. At Fujifilm, she was responsible for Japanese expatriate management and was involved in various Human Resources Management projects. These included job, appraisal and compensation systems building, organisational development and corporate culture change, working with Dutch and Japanese management. Masako joined the ITIM international network in 2003 as an intercultural and organisational culture management consultant. Her clients include both Japanese and European companies and organizations such as Fujifilm, Omron, Yokogawa, Teijin, Philips, ABNAmro, ING Direct, Boskalis, IHC Holland, Fluke, TEVA, Otto and TU Delft. Masako has delivered her training and workshops in Europe, Japan and USA. She delivers training, consulting and coaching services in English, Dutch and Japanese.